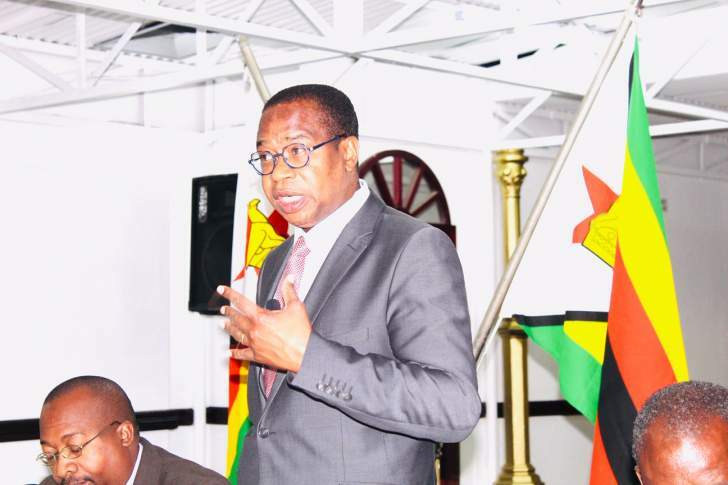 GOVERNMENT has developed a comprehensive plan to revive the economy, which will involve painful measures like a bitter pill administered to a patient, Finance and Economic Development Minister Professor Mthuli Ncube has said. He made the remarks in Brussels, Belgium, yesterday while addressing the European Conservatives and Reformists (ECR) Group. The ECR Group is a centre right political wind in the European Parliament established in 2009 under the founding principles of Prague. This is the first time Zimbabwe has been invited to the group's meetings. President Mnangagwa's Government has prioritised re-engagement with all nations as it seeks to revamp an economy that has suffered isolation for decades. In his address, Minister Ncube outlined part of the measures which the Government is taking to revive the economy. These include cutting Government expenditure, privatising parastatals, liberalising the economy and reducing red tape. He said urgent and bold action was needed. "Zimbabwe is back on the map. Just as we open up our economy and democratic space, so too are we opening our arms to the world," said Prof Ncube. "The dark times are behind us, and the future is bright and positive; a future of cooperation and dialogue. A future whereby Zimbabwe is an active and responsible member of the global community," he said. "The Zimbabwean economy faces a raft of serious challenges, including a high budget deficit and significant debt, and currency challenges. These are challenges we cannot face alone," stated Minister Ncube. "And while these challenges are significant, with major structural reform, they are not insurmountable. What is required is urgent and bold action, and tough decisions. We cannot run away from the challenge — the longer we wait to address it, the harder it will be," he said. "Government has developed a comprehensive plan to revive our economy and put us on the path to steady economic growth. The only way to a stronger economy is to restructure, rebuild and reform," said Prof Ncube. "This plan involves some painful measures to get our national budget under control. These measures will be felt by all of us, but are unavoidable if we want to get our economy back on track," he added. He said pain would be felt as the measures were implemented but it was unavoidable. "These measures are those of a doctor performing a lifesaving operation. They cause pain, but the pain is the only thing that will lead to a recovery. As Margret Thatcher once said, 'Yes, the medicine is harsh, but the patient requires it in order to live'," said Minister Ncube. "We must all be humble and austere, and Government is leading by example. We are continuing to make big cuts to perks and unnecessary expenditure, so that Government lives within its means," he said. "Alongside this, we are making structural reforms to liberalise our economy, privatise inefficient parastatals, reduce red tape and regulation and attract investment," said Minister Ncube. He urged the nation not to panic. "It is vital that we do not panic. The money in Zimbabwean's bank accounts is and continues to be of value, and Government is guaranteeing the availability of all essential commodities, including fuel," he said. "Amidst these reforms, our growth projections remains strong, a similar rate to some of the fastest growing economies in Africa. This is an indication of where we are going if we keep on this path. "We must be realistic and recognise the scale of the challenge. According to the IMF, it takes a few years for an economy such as ours to overcome our constraints. There are no silver bullets or quick fixes. Reform, hard work and patience are the only solution," said Minister Ncube. He said the road to an upper middle income economy was long, bumpy but guaranteed a secure future. "We are undertaking a shared journey towards a better and more secure future. The road is long, winding and at times bumpy. But there is no other way. This is the road to an upper middle-income economy, ala Vision 2030, and if we travel it together, with patience and purpose, we will realise our vision," he said. "The new Zimbabwe cannot go it alone. We must open our arms to the international community, international investors, and international financial organisations," said Minister Ncube.